When it's autumn or winter, there's nothing better than lovely scented candles. 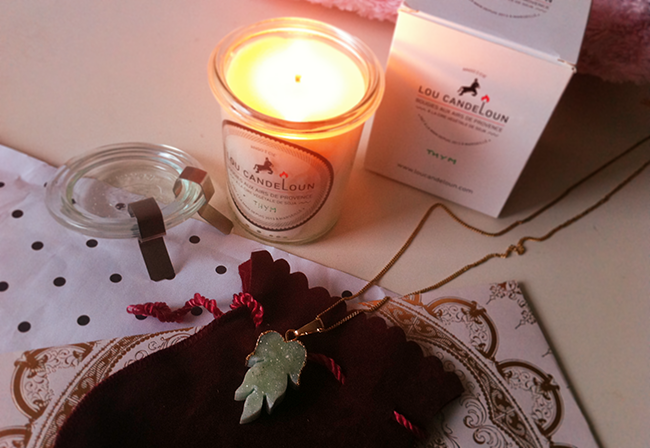 I had a chance to try Lou Candeloun candle which is a soy wax candle handmade in France. Soy wax candles are much better and nicer than the regular paraffin candles. They burn a lot longer, have a stronger scent and are better in all ways. 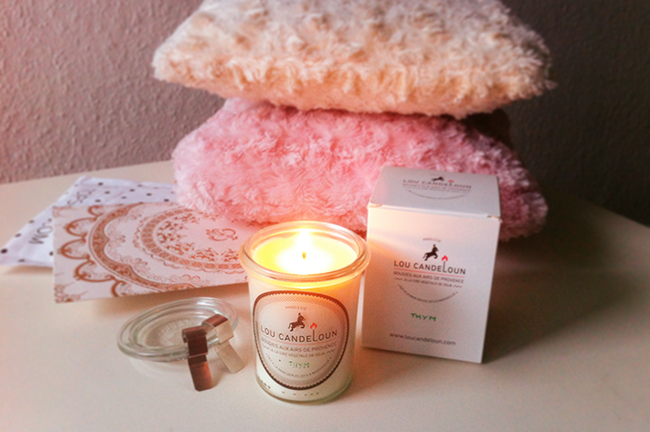 I really like this candle from Lou Candeloun, it has very nice and calming scent of thyme. 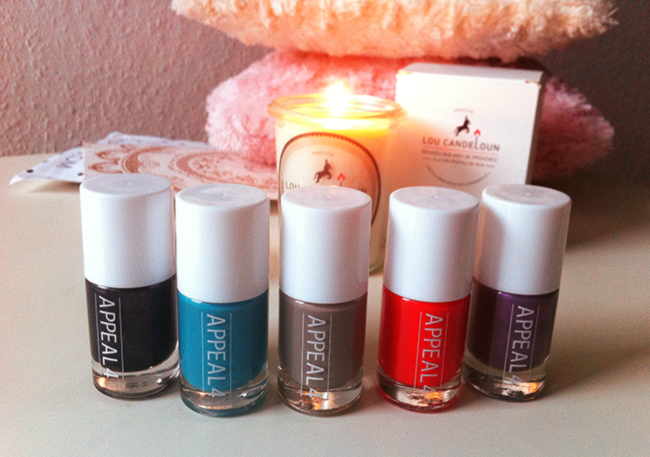 Appeal4 is a danish nail products brand, and I was super happy to try their nail polishes! The quality is great - the colors are opaque and dries fast. My favorite color is the one in the middle which is called 'London grey'. I guess you already know I'm a huge fan of druzy jewelry! I love this new apple green pendant I got from a store called deDruzy, they have a bunch of beautiful druzy jewels in all colors! The candle looks gorgeous and I would love that grey nail polish. Beautiful images like the candles. 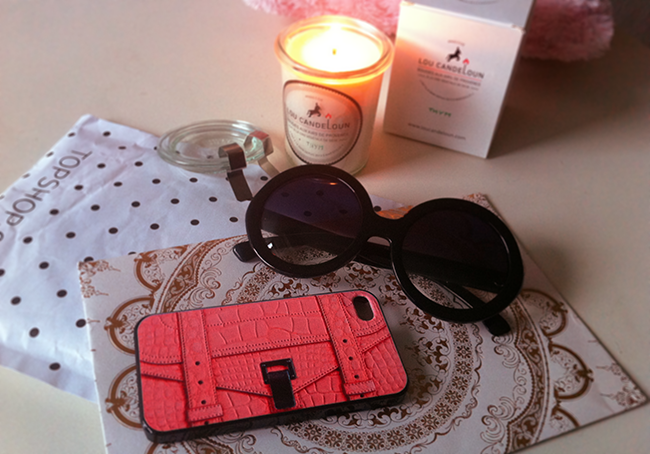 Amazing blog and post! Great pictures!